Click on the groups below to find more information about meeting times, venues and contact details. Pioneers are our youngest members. They take part in a range of activities designed to be interesting and challenging. Pioneers activities include, bushcraft, climbing, archery, crafts, games and visits. They meet outside almost every week in the summer and inside over the winter. They have the exciting chance to take part in our camps and sleepovers. It may be the first night spent away from home or in a tent so it's a real adventure for them. Rangers is our middle age group activities are turned up a notch from Pioneers. Rangers meet outside every week in the summer and some weeks over winter. Longer camps are on offer which means members can get the full outdoor experience. Throughout the year, Rangers learn various skills, such as map reading, camp cooking and first aid in preparation for camp. Rock climbing, caving, mountain biking and international experiences are just some of the things they can get up to. Pursuits are encouraged to in deciding the activities and direction of the programme, with support and guidance from leaders, this section also includes the Duke of Edinburgh's award. Members are also encouraged to develop their skills, so they can achieve national governing body certificates. There is wider scope for activities like wild camping, mountaineering, potholing and expeditions. Adventure is the root of everything we do. Being involved with us is exciting. We believe through our activities young people developing positive attitudes about themselves and others. We facilitate new challenges that enhance member's lives and create lifelong friends. We offer hundreds of activities, below is just a snippet. There’s something for everyone, whatever their ability. Each section at Outright Adventure will run a balanced range of activities, experience and events, based around our awards. The awards cover a huge range of activities from health eating to climbing. We're constantly developing this and looking at new activities. Speak to your Section Coordinator if you think we're missing something..
We are a small team of outdoor pursuits enthusiasts. We started running Outright Adventure because there is an overflow of children and young people wanting to get involved in outdoor pursuits. We've changed a bit over the three years we've been up and running. We started as LTD company we then realised this probably wasn't the best way to present ourselves as we weren't doing this for corporate profit. Therefore, in in August 2017 we converted into a community interest company. We're here to benefit the community and give the opportunity to children and young people to experience adventure outdoors. My child has a disability or additional need can they join Outright Adventure? We are committed to being fully inclusive of all young people. We recognise that children and their families come from diverse backgrounds. All families have needs and values that arise from their social and economic, ethnic and cultural or religious backgrounds. There is flexibility within Outright Adventure and all groups should make reasonable adjustments wherever possible to support the inclusion of young people with disabilities or additional needs. We are also a Hampshire County Council Short Breaks provider. I don’t feel I have any suitable skills how can I get involved? Parents can volunteer and help in many ways. If you’re good with accounts you could be Group treasurer, or if you’re a cooking master you could run cooking sessions with the young people. Everyone has a skill and we will make use of anything you have to offer. There's no pressure to becoming a regular leader or helper. We hope you will enjoy yourself enough to want to carry on. We’re moving to a new area; can I transfer my child to a new group? We're still expanding and currently only have one group running. We will be opening more groups soon, talk to your Group Coordinator to find out if there are any opportunities where you are moving to. My child is moving up a section,how can I help them prepare? When the time comes to move up to the next age range, a young person can have mixed feelings. Making the transition as smooth as possible goes a long way to helping your child settle in. Your child's current section leader will discuss the process of moving up and when their first date at the next section will be. Each age group normally meet on different days and times. Your child's new section leader will then be in touch to discuss meeting times and see if there is anything they need to do to help with the transition. We try not to move people up by themselves so if your child has friends they would like to move up with speak with your section leader and they see if they can help. Is there a planned programme? 'Challenges'- multiple more ambitious tasks combining themes from the whole program.  Outright Adventure is an affordable way to access exciting and adventurous activities for your child. The cost of your child attending Outright Adventure varies by which section they attend. You can expect to pay between £4 - £5 per night this is collected half-termly by card payment or direct debit. This fee covers the cost of the hire or upkeep of the meeting place and activities. Trips, camps and activities are usually charged separately. The price of these vary on accommodation, travel, length of time and activities planned. It's best to ask your local group about these costs. Members wear a uniform of a sweatshirt and t-shirt with the Outright Adventure Logo. There may also be opportunities to by camp or activity t-shirts, these aren't compulsory but are a nice memory. Uniform can either be bought from your group, just speak to one of the volunteers. We don’t want young people to miss out through financial hardship. If concerns about finances may prevent your child taking part in weekly sessions or some activities, speak to your local leader, as some assistance may be available in confidence. We are committed to ensuring that Outright Adventure is safe and enjoyable environment for everyone who takes part. Leaders go through a similar application process to applying for a job. An application form, interview, references, DBS check and then an induction period. We have a clear code of conduct which is given to all adults working in with Outright Adventure, regardless of their role. This is also included in the training that leaders receive and offers advice about how young people should be treated. We expect everyone to follow it. We expect leaders to take courses in basic first aid and child protection. Additional training is provided for those taking young people away on residential events like camps and sleepovers. Coordinators will make parents aware of the programme for their section and in doing so will assume consent to participate if the young person attends the activity. For any activities outside of the weekly program leaders will provide information through our online membership system Navigate. You will then need to review the information and sign your child up. For all camps leaders will give information and advanced notice for parents to consent to their child attending. For all our activities you will be provided with contact details for the group. We will never ask to take individual young people away on their own or without another adult being present. If you are unhappy with anything relating to your child’s time in Outright Adventure you should raise it with your child’s leaders. If you would rather speak to someone else, please contact us on our head office number. Suitable insurance is key to any organisation and its members. Our insurance is held with Activities Industry Mutual, a specialist in our area of work. This covers all members, volunteers and staff. We hope to never use it but if we need to it's there. If you have any further questions or want to see a copy of our certificate speak to your Group Coordinator.